Hi There, I’m Dio, gay male Massage Therapist of over 5 years! To book with me, please call or text. Gathered by Dio from admiring massage clients to share with you. I recently started receiving massages from Dario about 6 months ago. As the owner of a renovations company, I have a very strenuous and stressful job. I often suffer from lower back pain due to my line of work and also carry all of my stress in my upper back and shoulders. As a masseuse, Dario was very attentive to my needs and really took his time and focused on my “trouble spots”. His friendly personality made me feel comfortable from the beginning and he is always completely professional and classy in every way. If you are looking for a professional massage in an immaculate, relaxing environment...then Dario is definitely your guy!!!! 5 stars for sure!!! I've been a client of Dario's for 4 years now and I can't say enough good things about him. If you are looking for someone with a great touch and technique look no further. Dario has the innate ability to relax the most stressed. I can't say how many times I've fallen asleep on the table (hopefully my snoring wasn't too bad) after only a few minutes. Each time I awake refreshed and seemingly stress free. You will notice he prides himself on his practice. His studio is immaculate, well appointed with comfort and soft music. Choice of cream or lotion are equally nice. 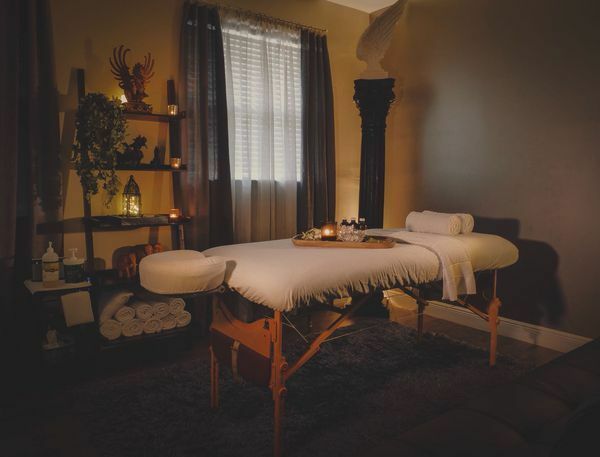 If you're in need of a massage to take away your stress and worries look no further. Dario was AMAZING....I never had such a wonderful great massage where a massuer paid attention to your needs and was very friendly. He didn't rush and he made me more relaxed than I ever been before. He is in tune to your body and very professional. When I visit again I will seek out Dario for sure. 5 Stars all the way. I’ve had many massages at some of the best spas and I must say my massage with Dario was by far the absolute best! He is very professional, the setting was very relaxing and he even followed up the following day! I will definitely return. Dario was welcoming with a good sense of humor. His massage was one of the best I’ve had and I’ve had many. I asked for deep tissue and that’s what I received. The pressure and rhythm of the massage was almost hypnotic.I left feeling relaxed and mildly energized. When I come back to Fort Lauderdale I’ll make a point to him again. After reading other review, I had to try myself. Dario is the best! The massage was simply amazing. Dario indeed is very professional. Expect to get a great massage, and leave totally relaxed. Dario greeted with a great smile makes you feel confortable. His massage overall technique was perfect and did exactly what was needed to relax and let go of some stress. HIGHLY RECOMMEND, I will surely be back. By far one of the best massages I ever had in Fort Lauderdale. The massage was totally focused on my back issues. I was so impressed that I already booked another appointment and will likely book many more. I highly recommend without hesitation. Dario was fantastic. Great massage with stretching. Great listener to achieve the pressure I wanted. Great focus on problem areas. Wonderful atmosphere. One of the best massages I have ever had. Will be back as soon as possible. This was a very relaxing, professional, and beneficial experience!! The massage was excellent and his personality was just as warm and welcoming. I would def recommend him to anyone!! Dario massage room is very tranquil and reminds me of very high end spa or better. His technique is very therapeutic and relaxing; dosed off during the session, meaning very good skill! Very professional and courteous, give him a try! Thanks Dario! My massage with Dario was excellent. He's very professional and super friendly. His massage studio is impeccable and made me feel very relaxed. Overall I had an amazing experience, I highly recommend him. Had a great massage with him, and we both felt that the pressure and attention that he gave was right on point. I will gladly recommend that him, and tell any of my friends to see him. I had an amazing massage today with Dario. His massage skills are excellent and his massage studio very clean and relaxing. I've had many massage and this massage was top notch. I will definitely be back! Again Dario excelled himself in giving me a fabulous massage. He gave me perfect pressure (deep) as I like it, but he'll adjust it to whatever you require. The studio is very comfortable, relaxing and extremely clean. Dario works very hard at giving an awesome massage and he leaves you feeling amazing. Thanks Dario, for such a great massage. I'm Looking forward tp the next one! Very professional setting. Totally focused on his work and concerned about your needs! Highly recommend for your best massage ever!